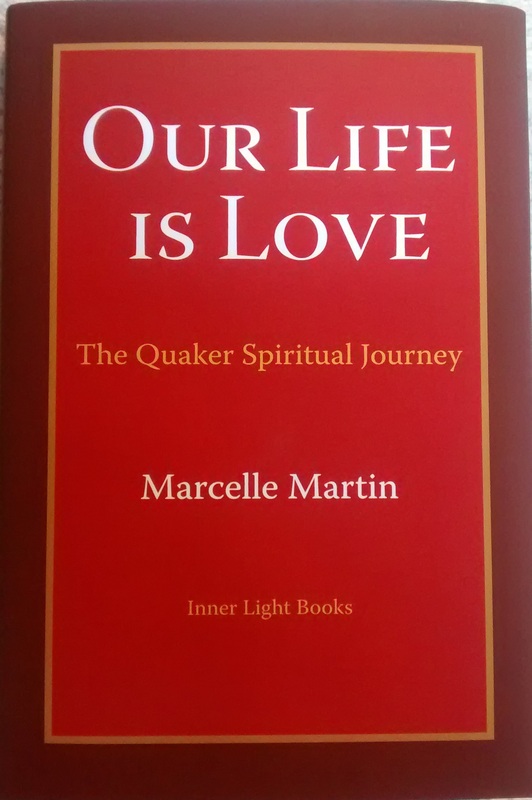 This fall Swarthmore Meeting is offering a 7-week Tuesday night class on the Quaker Spiritual Journey, taught by Marcelle Martin, using her book Our Life is Love as the text. We will examine and discuss ten elements of the Quaker spiritual journey as experienced by the first Quakers, by contemporary Friends, and by ourselves. Class time will include large group discussion and sharing in pairs or trios. The class will meet on second and last Tuesdays, 7:15 to 9:00 pm, from September 13th until mid December. The dates are: September 13, 27, October 11, 25, November 8, 29, December 13. Reading between sessions is about 20-30 pages over two weeks. Books can be purchased in advance or at the first session. Advance reading for the first session is available online at InnerLightBooks.com (pages 1-26). A donation to Swarthmore Meeting is requested: $50 (or whatever you can afford). For more information or to register, use the Contact box below. Our Life is Love can be ordered from Inner Light Books in hardback, paperback, and ebook. The book is also available from QuakerBooks, at the bookstore on the campus of Pendle Hill.